I came across a similar product and then created my own with a few extra details that I wanted and in some of my favorite fonts. These are great to put in a binder by your phone with a phone log for each child as well. Insert both into a page protector and you have everything right there for each child! 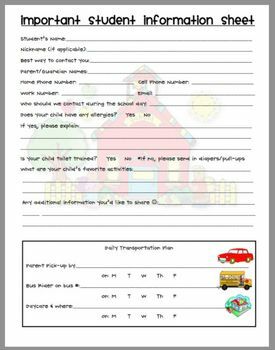 PERFECT if you have students with IEP's and need to fill in a parent participation log!